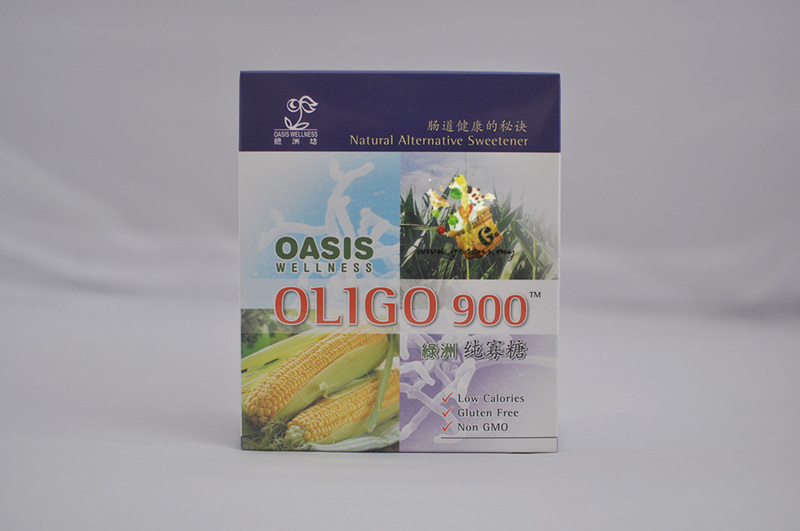 Oligo 900 (Powder) is a natural nutrient sweetener, made of abstract from maize. It is heat resistance (up to 120°C) , widely used in many food and beverage preparation. Suitable for all to be used as a substitute to sugar. 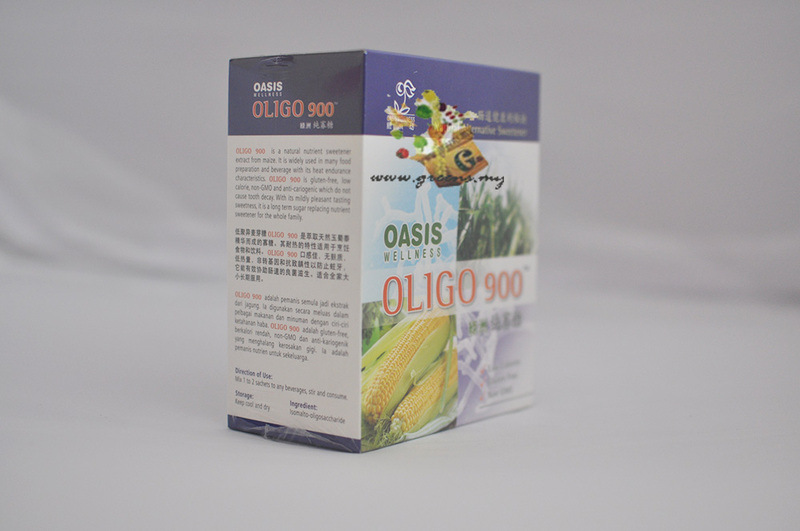 It is an extract of natural maize; support the growth of healthy probiotic - Bifidus. It multiplies Bifidus by 10 to 100 times after 2 weeks of continuous consume. Suitable for diabetes since it is indigestible & unabsorbable in stomach & small intestine. Other benefits are tooth decay-resistance, low calorie, acid resistance (pH3) and can stand up to 120oC. Friendly bacteria multiply by 10 to 100 times after 2 weeks of continuous ingestion. • Control cholesterol level by changes it to coprostanol, a form that cannot be readily absorbed by the body.